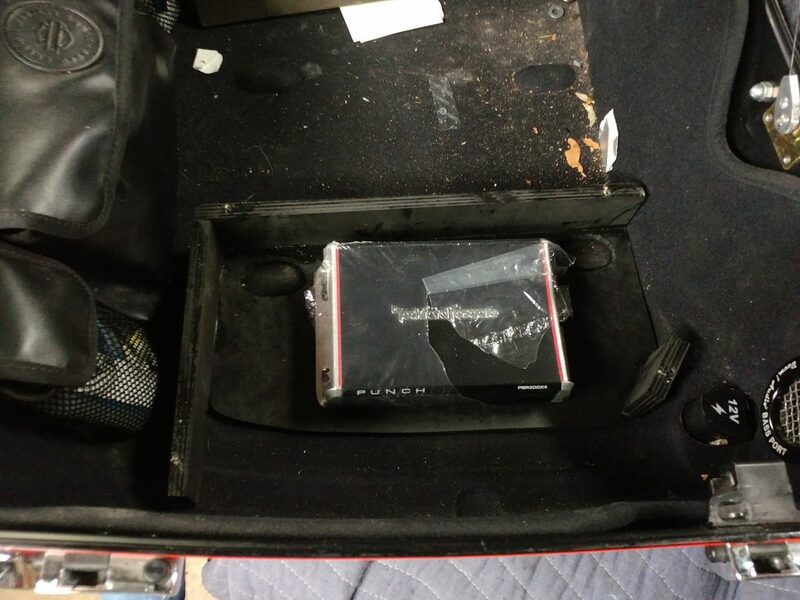 Today we will show you our old install. 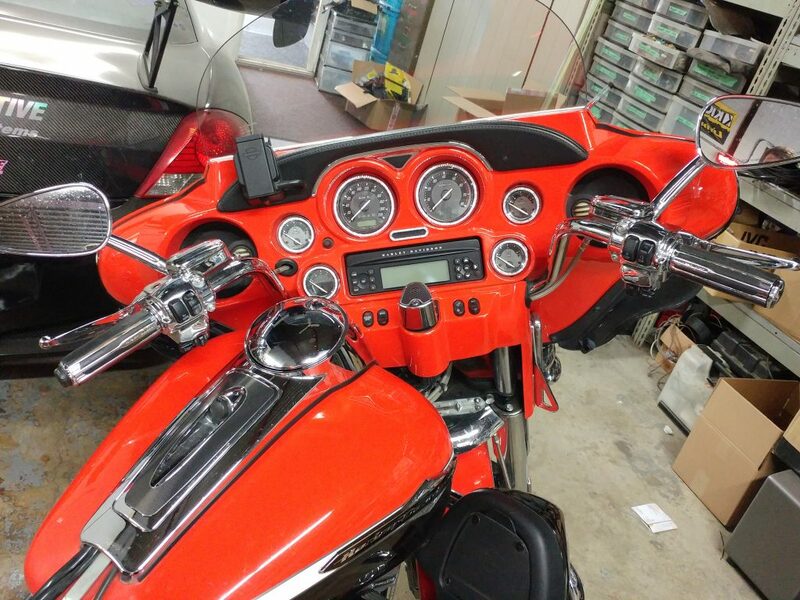 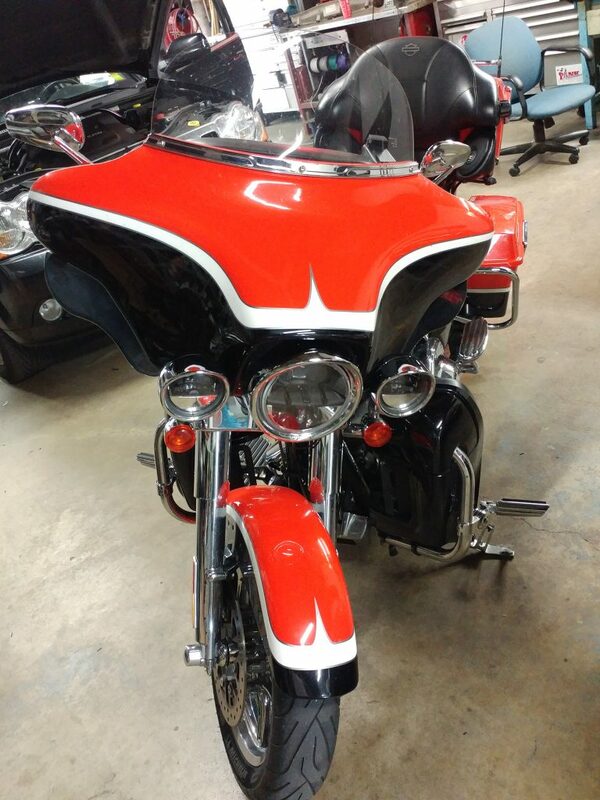 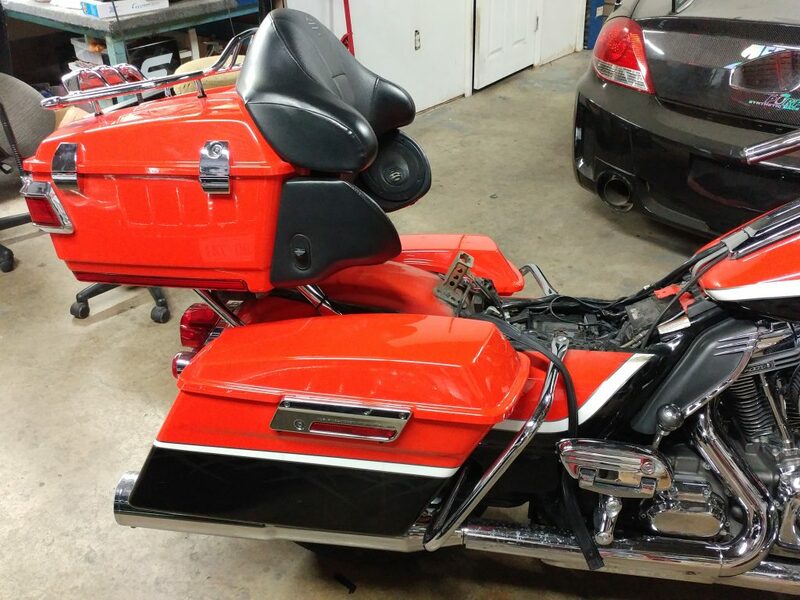 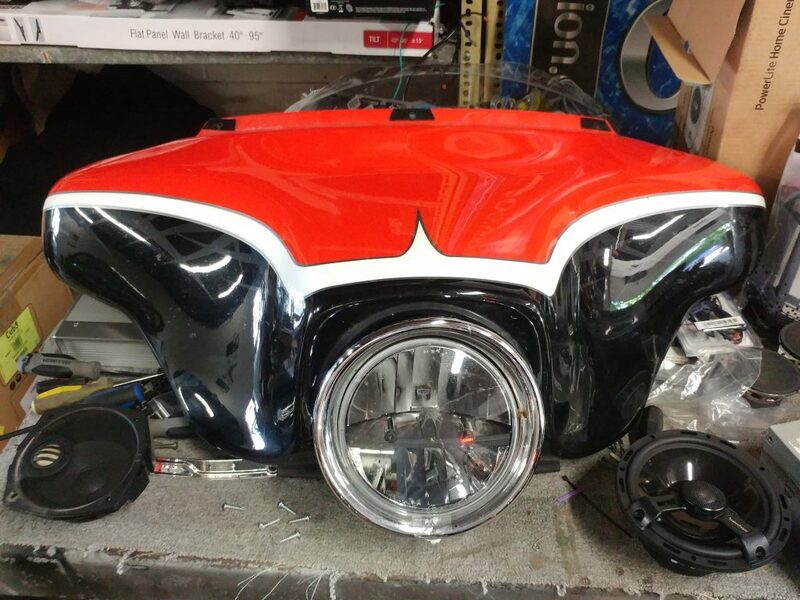 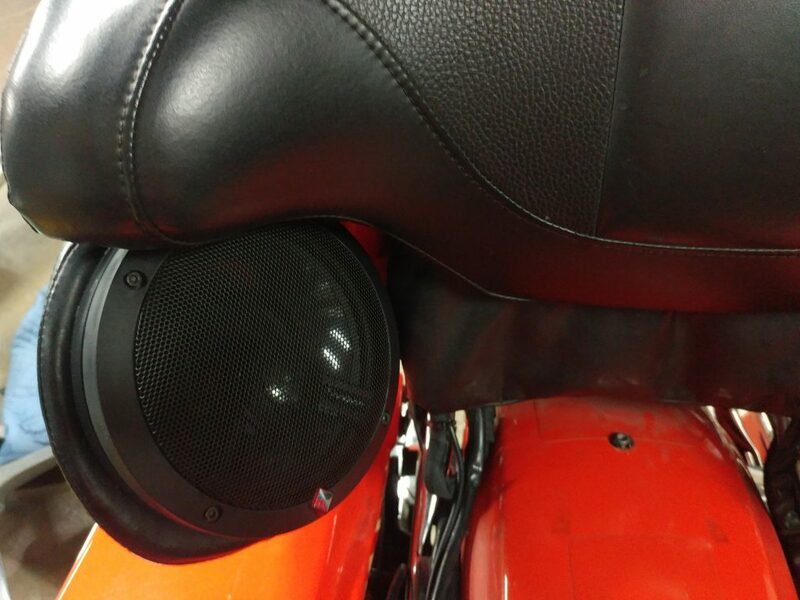 This job was done last year, and now this bike have even better system, but before we show you current setup- we have to show you it’s first system. 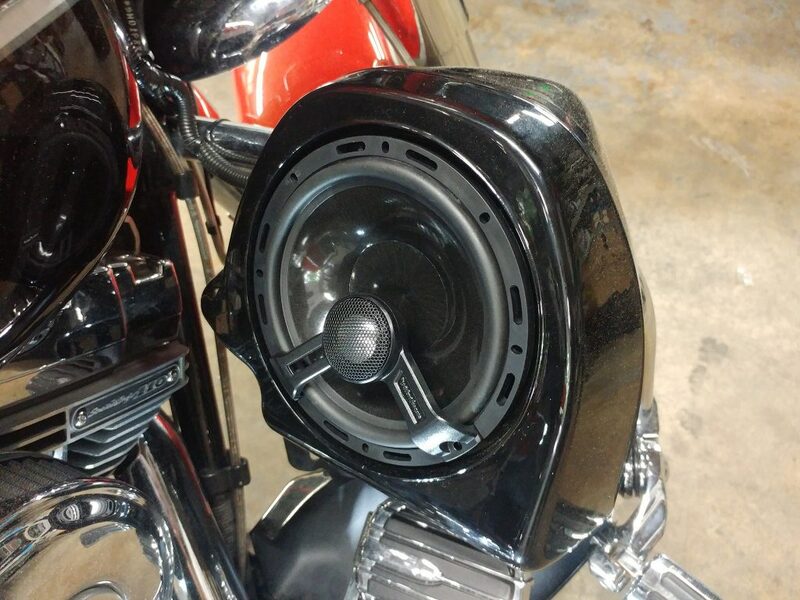 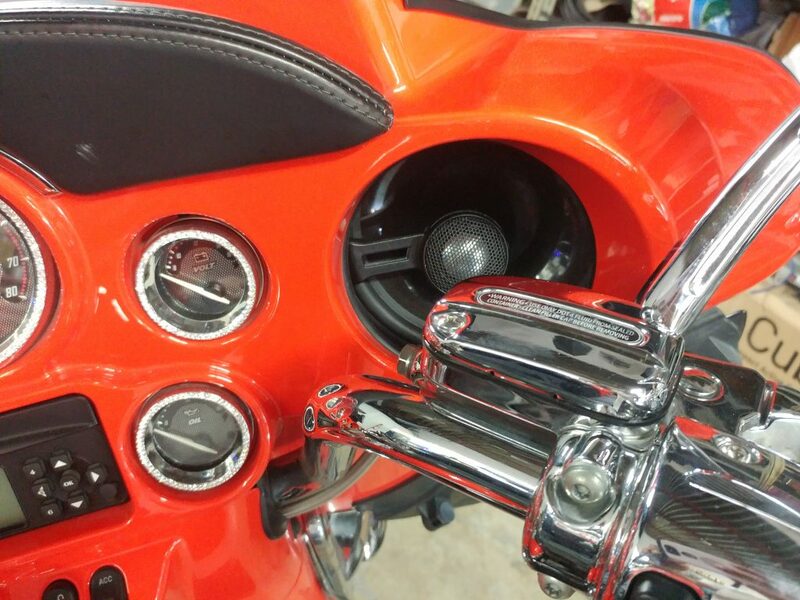 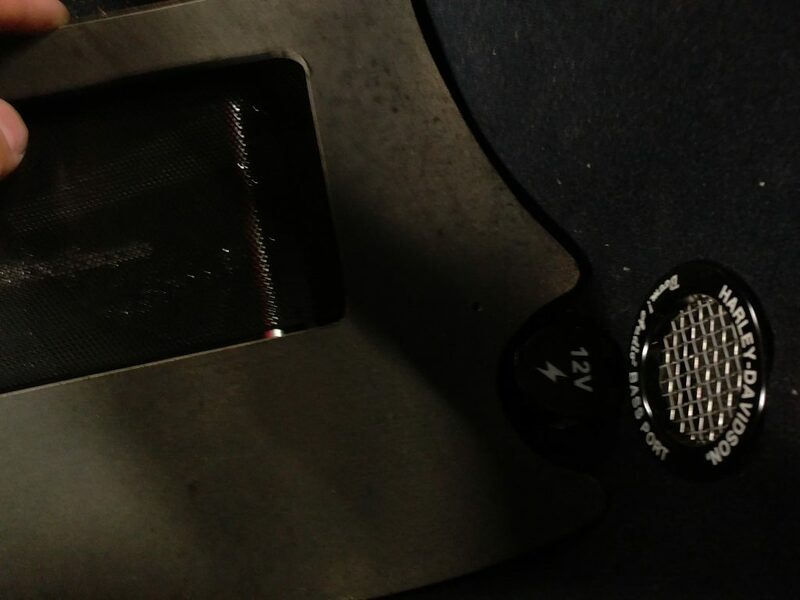 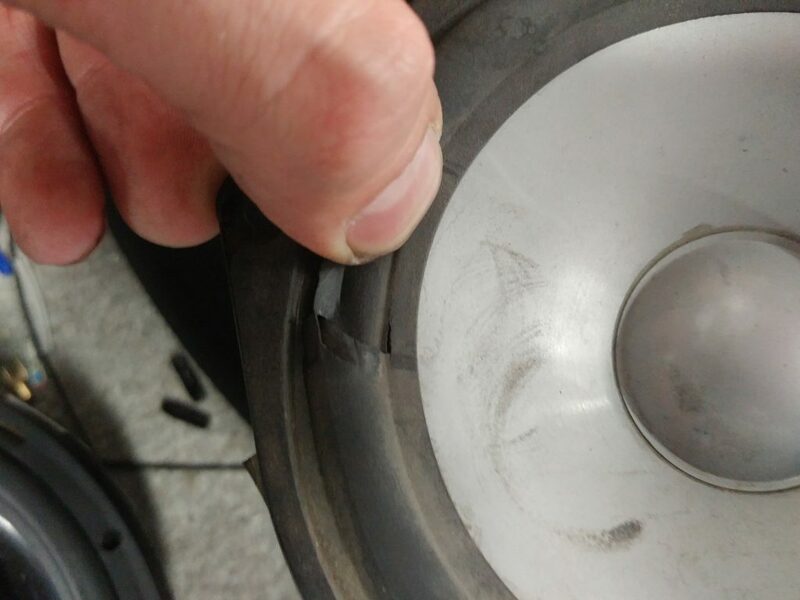 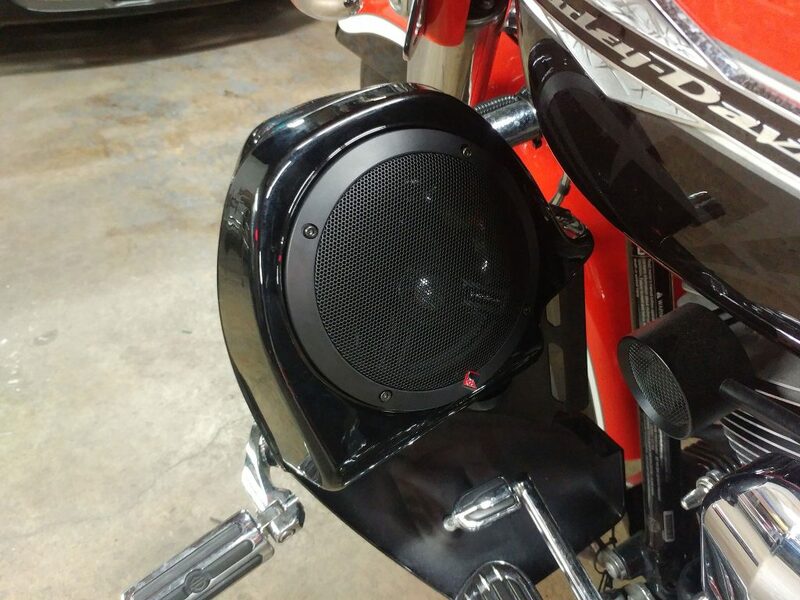 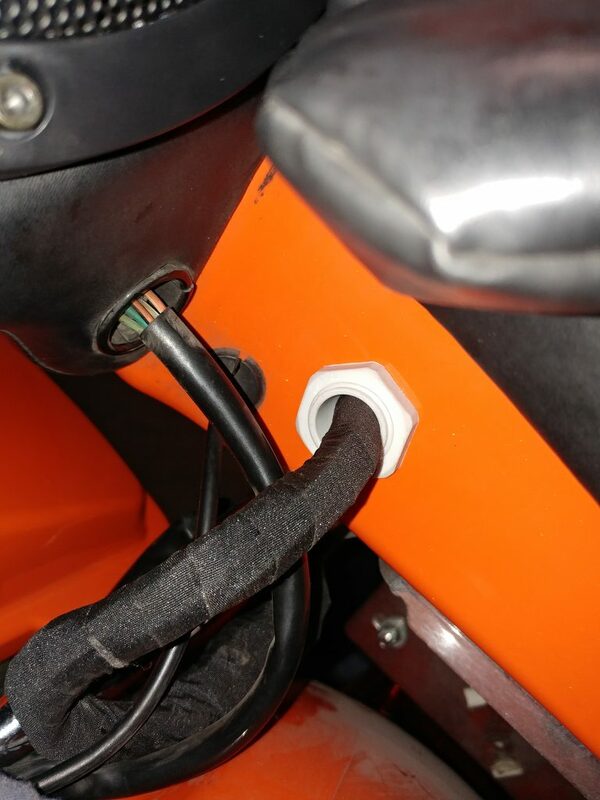 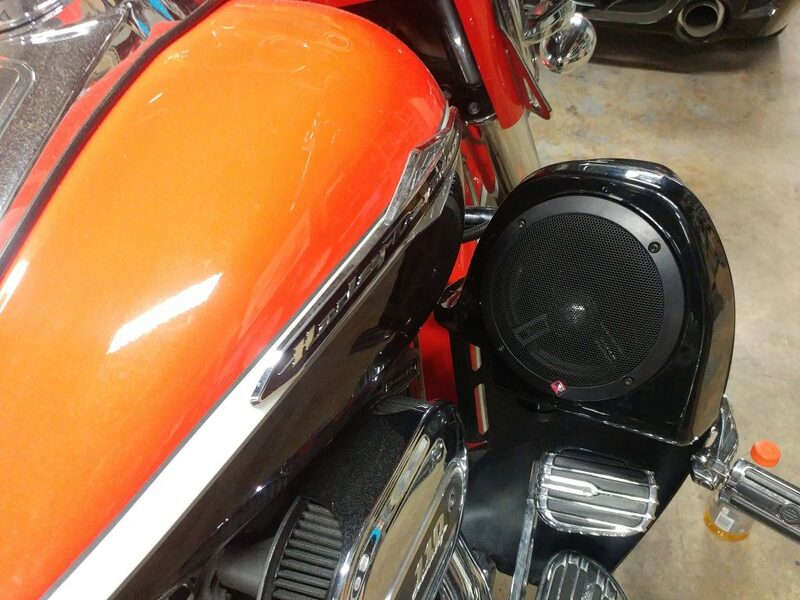 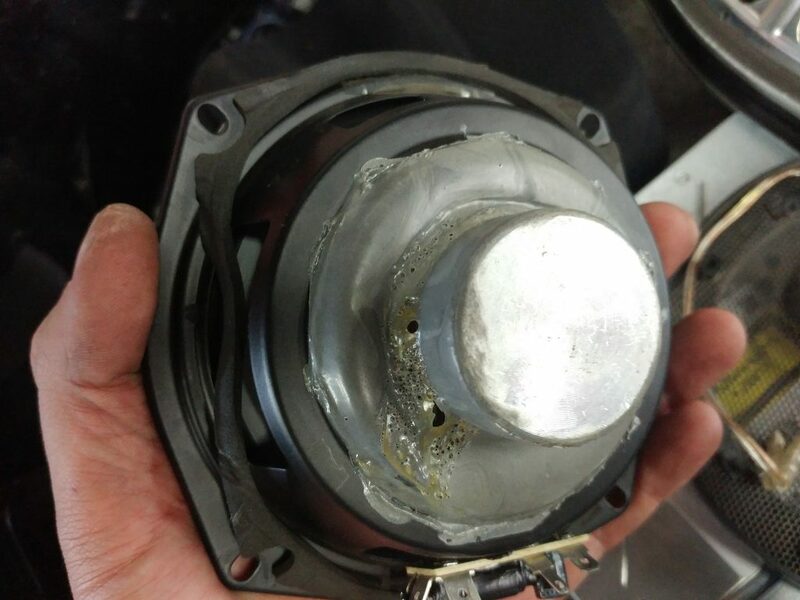 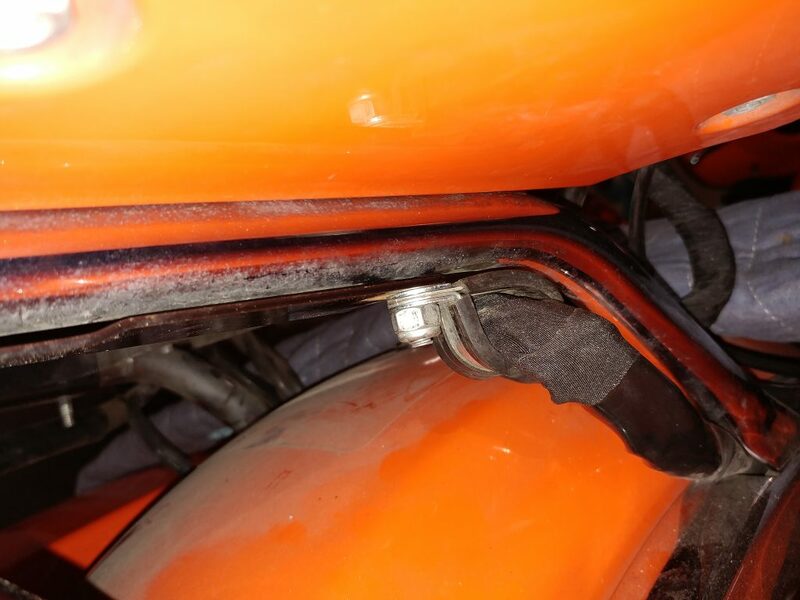 Add two more speakers to engine guard bars. 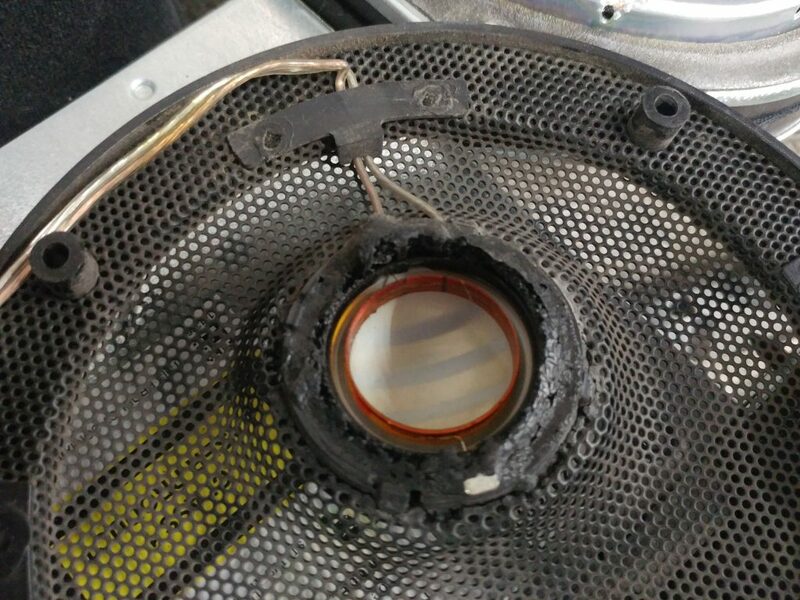 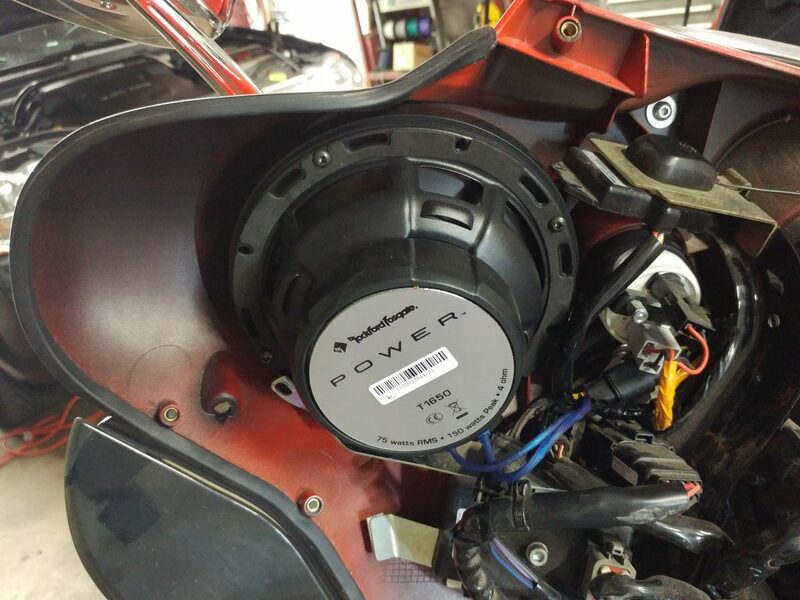 Run new power and speaker wires. 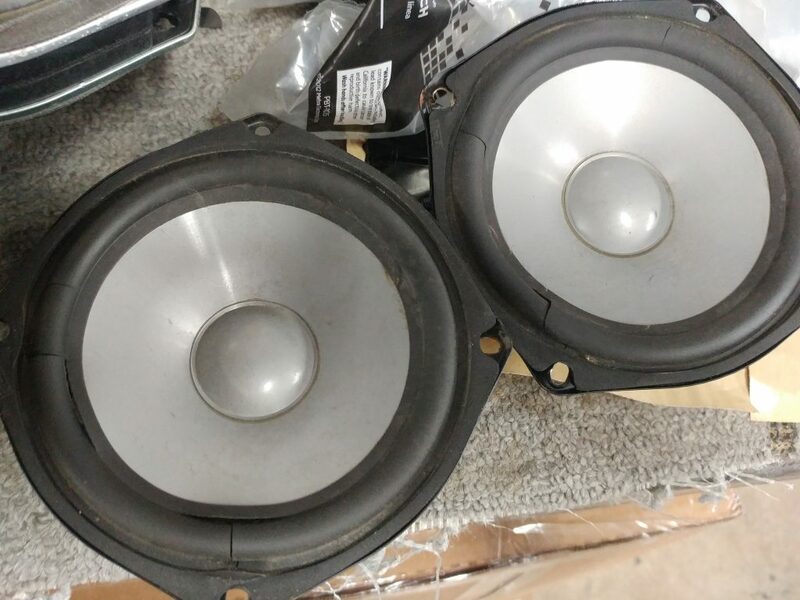 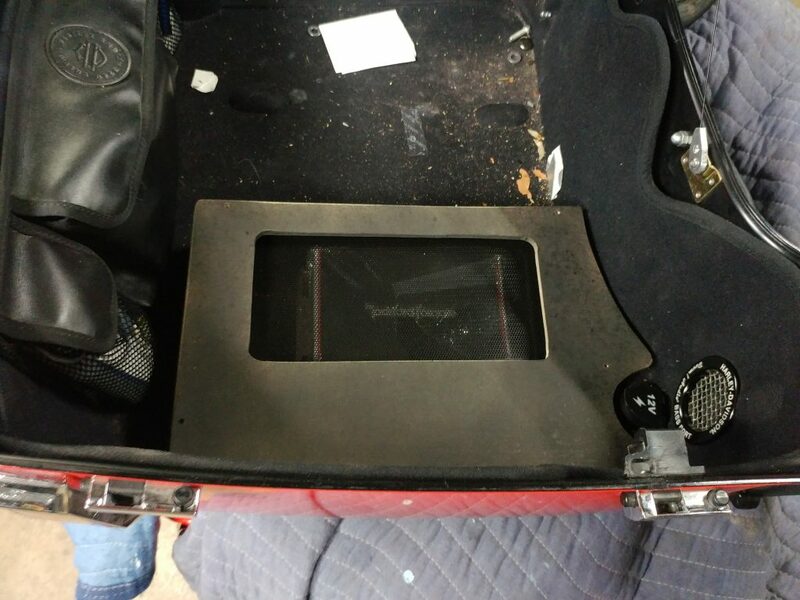 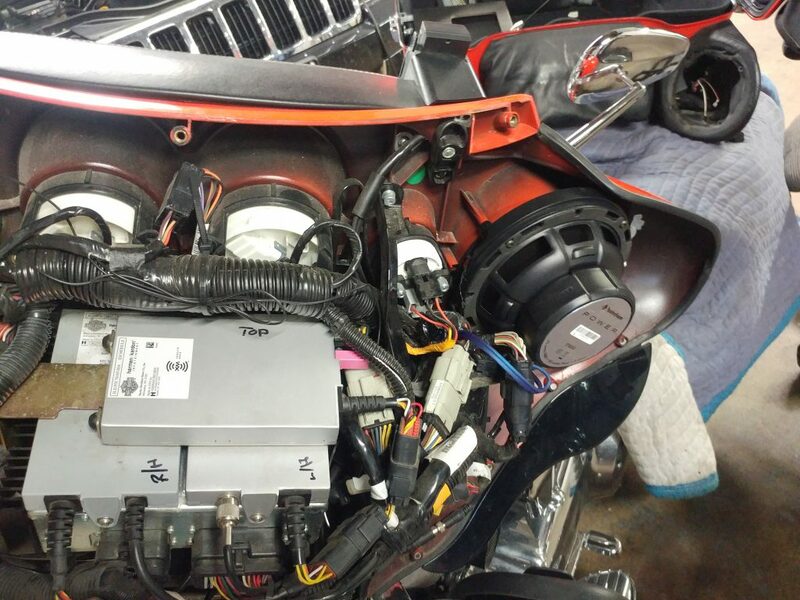 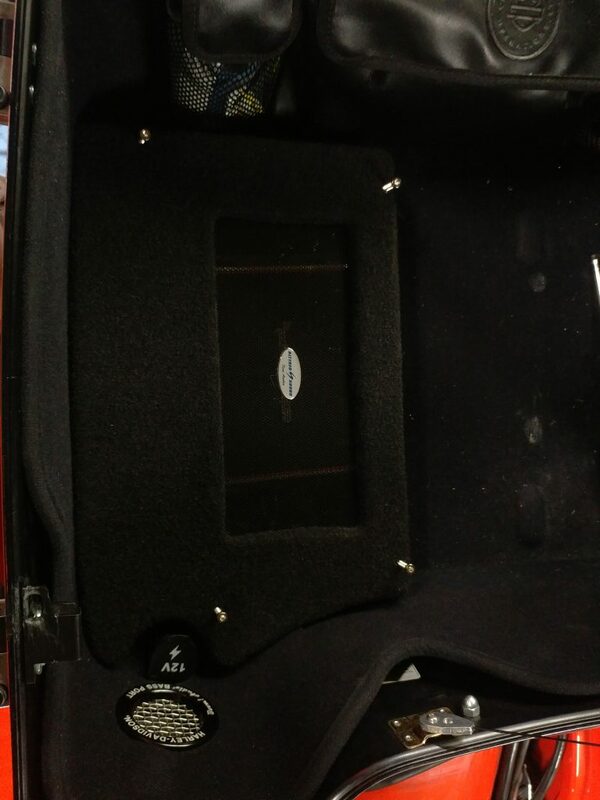 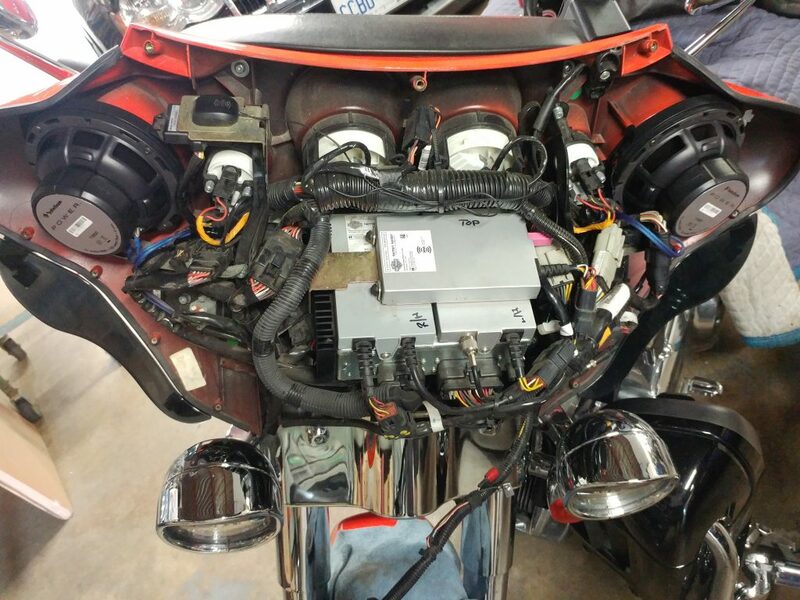 Install new Rockford Fosgate PBR300X4 amplifier to run all 6 speakers. 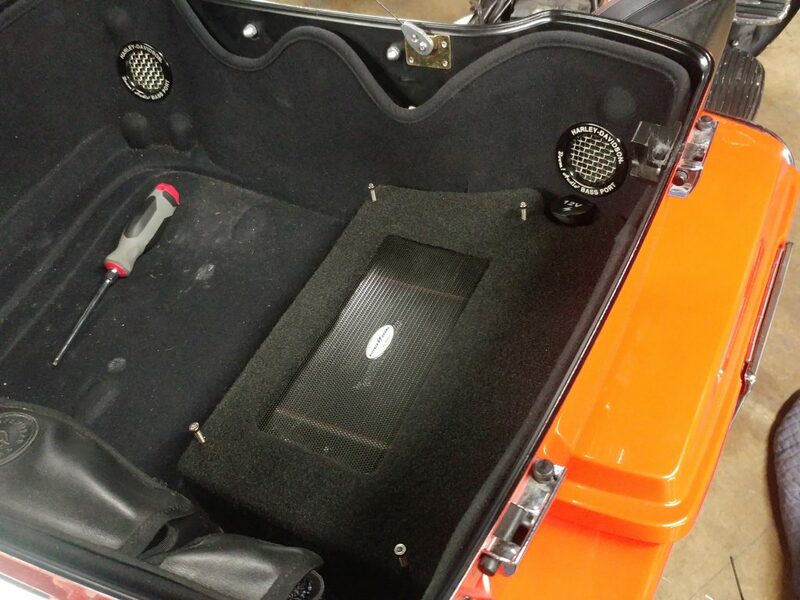 Rear speakers also installed with adapter rings to fit in these small boxes. 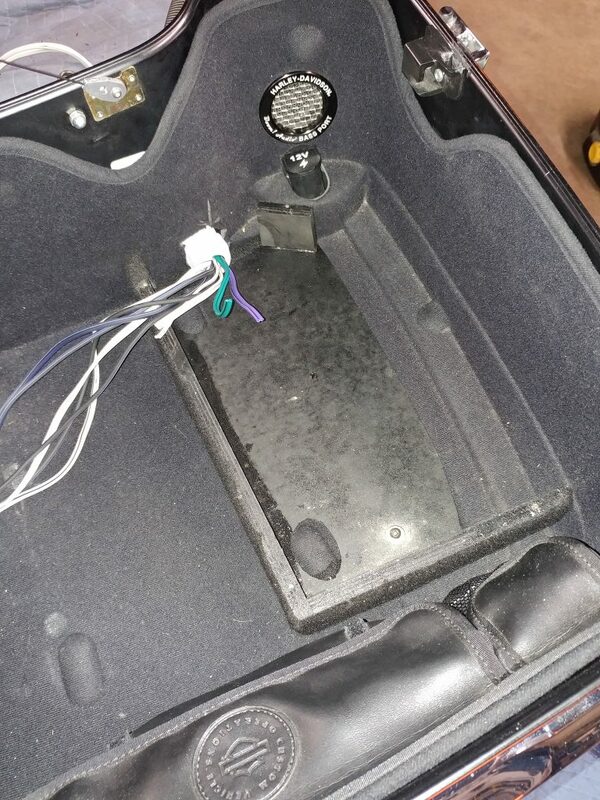 Russian birch, few screws, carpet, grill mesh and some MDF.